Two years ago my wife and I had a conversation that even 12 months earlier would not have taken place. “Do you fancy a static caravan, somewhere near the coast?” – “Do you think we’d use it?” – and so on. The upshot was that we looked on the internet for an idea of costs and sites on the east coast. 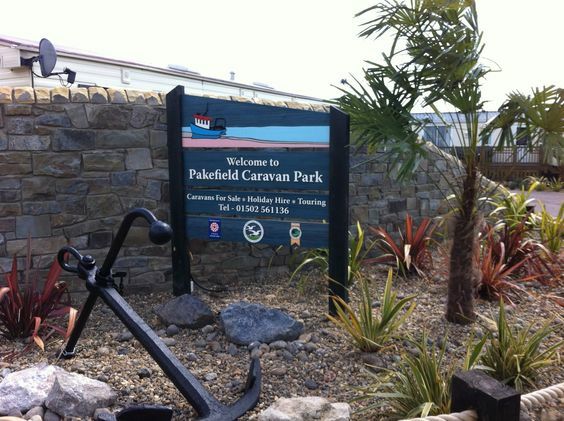 Amongst the sites that we looked at was Pakefield Caravan Park, now neither of us knew the park nor indeed did we know where Pakefield was. What we very quickly realised was that this was the only site that was showing, up front, ALL the costs involved in having a caravan on their site. Why the others didn’t we had no idea but we decided that at this stage Pakefield was the one that we wanted to visit. There was a potential problem in that neither of us had any idea about buying a caravan, touring or static, so we were quite nervous about taking that step. ‘Caravan Virgins’ is how I described ourselves to Kevin in the office. Any concerns that we might have had were very quickly dispelled by Kevin and his colleagues. One of the most telling remarks was when we were told that this was an investment in leisure – a phrase that we would totally endorse after our two years of ownership. We liked the look of the site, the proximity to the beach (about 150 yards in our case) and the swimming pool was an added bonus. The choice of caravans available meant that we were able to select one that met our needs and our pocket perfectly but what we couldn’t possibly have appreciated on our first visit was the atmosphere of the park. Even in the busy summer period there is still an atmosphere of calm about the park that makes us feel that we start to relax as soon as we turn into Arbor road. There is something about the place that gives you the feeling that the people that you meet are like minded, perhaps it’s a case of ‘we’re all in it together’ – what every it is, it certainly adds to the friendly atmosphere. Our children and grandchildren love the place too, which is an added bonus but perhaps selfishly this was something that we did for ourselves, anything else is bunce. Two years ago we asked Kevin to give us 24 hours to sleep on our decision to buy or not to buy and today we know that the phone call that we made the following morning confirmed one of the best decisions that we have ever made. Our investment in leisure is outstripping any financial investment that we might have made in the stock market. Thank you Pakefield Caravan Park.